To download a photo, select an image size from the two options below, and enter a valid email address in the email address field below. 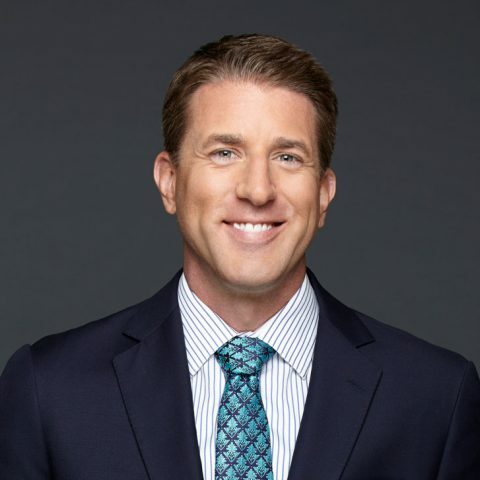 Play-by-play announcer Kevin Burkhardt has been partnered with analyst Charles Davis and reporter Pam Oliver for FOX’s NFL coverage since 2017. 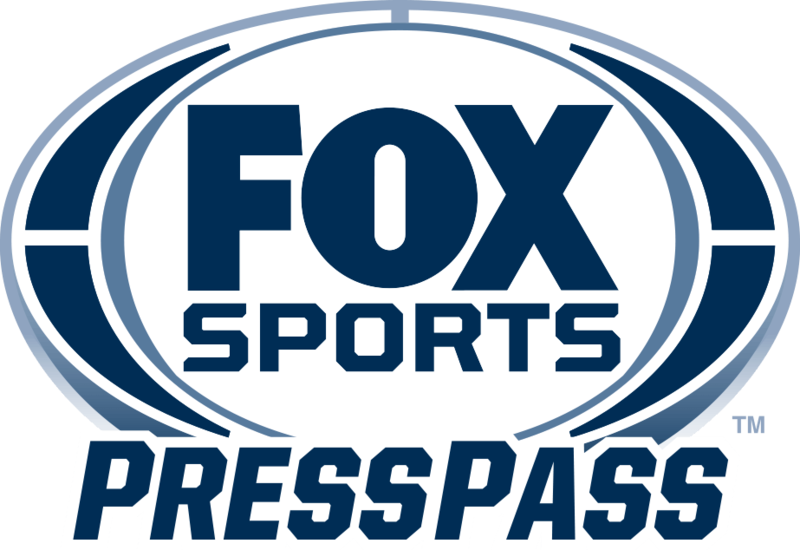 Burkhardt has been the face of FOX Sports’ pre- and postgame coverage throughout the MLB regular and postseason since 2014 and also contributes to the network’s college basketball studio programming. In 2019, Burkhardt along with Davis and Oliver called their first playoff game as a team when the New Orleans Saints defeated the Philadelphia Eagles 20-14 in the NFC Divisional Round. Paired on Sundays with nine-time NFL Pro Bowler John Lynch from 2013-16, the duo was awarded the prestigious assignment of calling FOX Sports’ NFC divisional round game in 2014 and 2015. Burkhardt called NFL games nationally on radio for Compass Media beginning in 2009, eventually becoming the national radio voice for the Dallas Cowboys in 2011 and 2012. Starting in 2007, Burkhardt was the notable field reporter for SportsNet New York (SNY) during New York Mets television broadcasts with his role gradually expanding to include play-by-play duties for select Spring Training and regular season games, pre- and postgame shows, and hosting the off-season program Mets Hot Stove. Other SNY duties included hosting SNY Spotlight and reporting for SportsNite. Burkhardt also made his presence known as a guest on SNY programs Jets Extra Point and Daily News Live, as well as regular segments on CN8 in Philadelphia’s nightly Out of Bounds program. While working for a local car dealership in 2003, Burkhardt decided to give his dream of earning a living as a sports broadcaster one last shot when he caught a break at WCBS-AM in New York City working some part-time shifts on sports updates. Until then, Burkhardt worked in local radio, including calling minor league baseball for four years for an independent team. After working at the car dealership, Burkhardt landed a job with WFAN, the biggest sports station in the country, doing 20/20 updates and contributing as the New York Jets reporter. Since getting his break in sports broadcasting, Burkhardt has appeared as the celebratory endorser of Pine Belt Chevrolet, his former employer, in Eatontown, NJ. A New Jersey native, Burkhardt and his family reside in Los Angeles.